I remember the day that I almost took my life. I cannot tell you the date, the month, or even what season it was. What I can recall, very vividly, were all the emotions pumping through my body. I felt that I had nowhere to go, no one to trust, and no way to relieve the mental and emotional anguish that was taking over me. I was drowning, and I knew it. "I felt that I had nowhere to go, no one to trust, and no way to relieve the mental and emotional anguish that was taking over me." Before I continue, let me back up and take you to another day, the day I was married. I ran excited, head-long into my vocation as wife and mother. I was 21 on that occasion, and 22 when I had my first baby, and then 2 and 3 came into the world before I had been married 3 years. I had visions of being the perfect wife and mother, and my plan was to do this, come hell or highwater. With each successive birth however, I struggled to bond with my babies, and I winced at the barrage of opinions coming from social media, "experts," and many well-meaning family and friends. 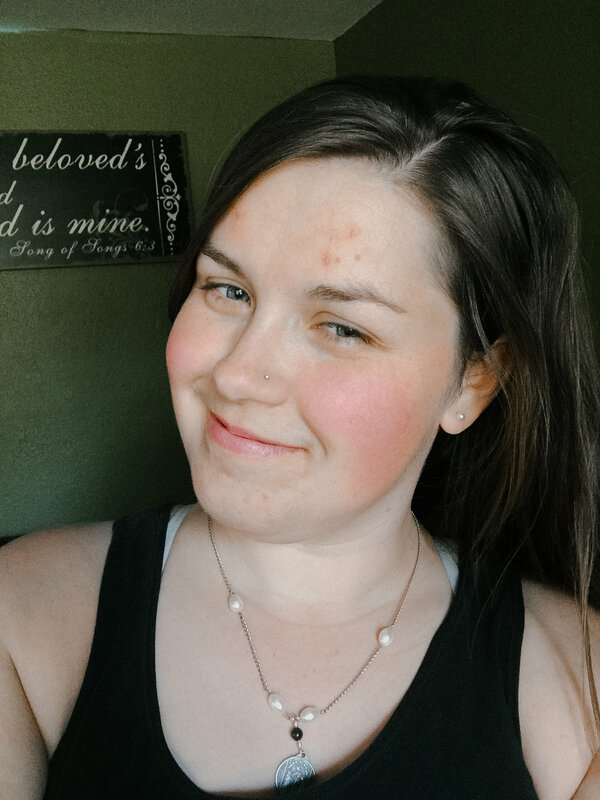 I was still determined, pulling myself up by my bootstraps, even though I awoke each day to a storm of anxiety, and heavy, debilitating depression. Little did I know that listening and trying ardently to follow all of those voices would lock my own voice away into a prison cell. God seemed so far away. All I wanted to do was protect myself from what was happening to me, so I lied to myself, and everyone around me, and shattered into a million pieces. I needed help. I could not take feeling so lost anymore. I decided to tell the truth. I told a friend, a counselor, my husband and God, that I was sinking into a pit of darkness that I could not pull myself out of. I expected this revelation to be met with lectures, demeaning remarks, and more spiritual advice. Instead care, compassion, and help was offered to me, and I took hold of these hands to lift me up out of my pain. "I decided to tell the truth. I told a friend, a counselor, my husband and God, that I was sinking into a pit of darkness that I could not pull myself out of." Sometimes a bone gets fractured, and we have to go to the doctor in order to heal. In the same way, our thoughts can become broken too, through no fault of our own. If you find yourself spending the days lost, struggling, and in darkness, I want to extend my hand to you and let you know that you are not alone. It’s ok to ask for help. There are people waiting to help you, and my dear, it’s ok to admit when you are not ok, we are in this together. "It’s ok to admit when you are not ok - we are in this together." I’m a 29 year old lady who is married to a man with the bluest eyes I have ever seen. We have been together 8 years and have 5 children, plus 1 in heaven, ages 7 and under. Do the math. Yep. I know. (My husband and I love parties, and well, we were bored) ha ha. I live in the little town of Payette, in Southern Idaho. On our sweet little acre, we have 30 chickens, a dog, a cat, and a bike. (I consider my bike my faithful steed.) I spend my days attempting to homeschool, play guitar, and rewrite the lyrics to popular songs in order to “inspire” my children to help me around the house. (Cue the tune, “Girls like you,” by: Maroon 5) “cuz, kids like you, you’re gonna clean your room, at sundown, when I tell you, you’re gonna clean your room, yeah, yeah!” (A mom can dream right?) I also enjoy french press coffee, hip hop music, wearing my hat backwards, starting fires (no I am not a pyromaniac, I just like using my knife, and fire-steel), and my closet (which I take refuge in and is the only space in my house that is clean). For those of us who haven’t experienced depression, what has depression looked like in your life, on a day-to-day basis? Every day is different. My most difficult days emotionally are the ones in which I am pregnant or postpartum. As of today I would describe living with depression and anxiety like keeping a bug infestation at bay. Most of the time I deal with negative thoughts and emotions and I go back to the tools I learned in therapy and remind myself of the truth and that takes care of it. Other days I feel like I am getting swept up by the strong waves, and then I reach out to my husband and friends. On occasion when I feel like I am drowning, I call my therapist. Other than that, I have a self care routine that I really try to stick to, which includes non negotiable things like: exercise, music, healthy food, lots of water, limiting my time on social media, regular prayer and spending time out of the house. 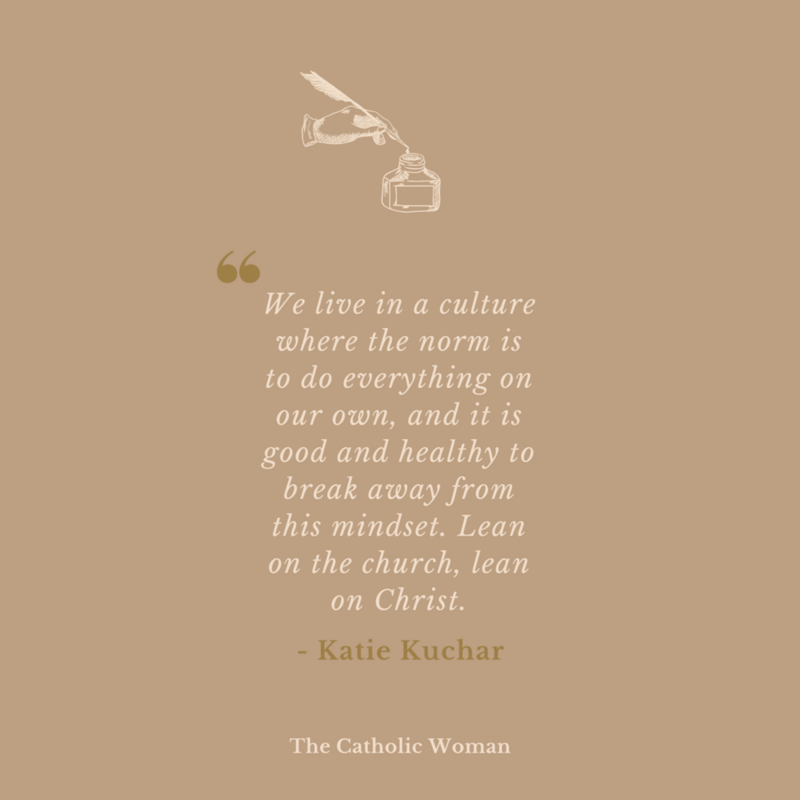 As millennial Catholic women in America, how can we be more compassionate and welcoming of those in our communities who struggle with mental illness? I would say, please reach out. Call your friends, invite people for coffee, invite them to fold laundry with you and just listen. If you suspect that someone is struggling, chances are they probably are. Ask the hard questions like, “are you ok?” My personal experience has been getting "outside of my head,” and knowing others are there to support me has made all the difference in dealing with and healing from mental illness. Another note: please interact with other women on more than just social media and texting. It’s just not enough to be connected digitally, we need a tangible experience, which means hearing another’s voice, and seeing another’s face. "Call your friends, invite people for coffee, invite them to fold laundry with you and just listen. If you suspect that someone is struggling, chances are they probably are." To the woman who feels like there isn’t a place in the Church for her because she struggles with mental illness — what advice would you lend her? You belong to the church, and she wants your happiness and healing. Christ desires your life to be full, he is the divine physician! Ask people to walk with you in your trials of darkness. Find someone to talk to in the church who understands the relationship between mental illness and Catholicism. I cannot stress enough the importance of seeing a Catholic therapist, (even if you have to do it over Skype) Find saints who share your struggle and develop and relationship with them. One of my close friends gave me a holy card and relic of St. Dymphna, and said with a serious look, "Here! You need this!” before I had my fifth child. She didn’t give me the option of refusing her gift because she has seen me at my best and worst). We live in a culture where the norm is to do everything on our own, and it is good and healthy to break away from this mindset. Lean on the church, lean on Christ. Don’t be ashamed of seeking the sacrament of anointing of the sick. Humbly allow others to carry this burden with you. “We belong, we belong, we belong together together.” -Pat Benitar. "We live in a culture where the norm is to do everything on our own, and it is good and healthy to break away from this mindset. Lean on the church, lean on Christ." Easter! It’s totally a feast for the senses. when it comes to my crazy fast brain, Edith Stein. Ask any of my friends and they will tell you I am constantly asking why about everything, especially about the relationships between men and women. In my mom life, it’s definitely Zelie Martin. 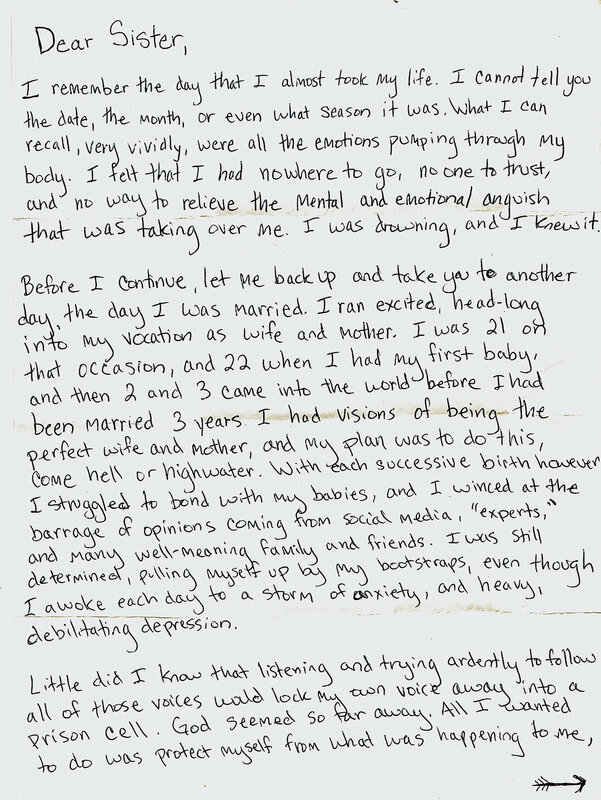 I love reading her letters, because they are so honest and real. are usually song lyrics. Right now there is a song called "Nothing's Gonna Stop Us" by the 80’s band Starship that I really love. If we’re heart to heart." I love this quote because it reminds me of why I got married and how my vocation as wife and mother is not easy but it’s definitely worth it. I am singing, or laughing, or both.